Happy Monday y'all - I hope everyone had an amazing Easter! It was a rainy one. Our's was wonderful but way too short. We did a ton of relaxing. I definitely over indulged on candy and am feeling it today - major need to work out. Too many chocolate bunnies. 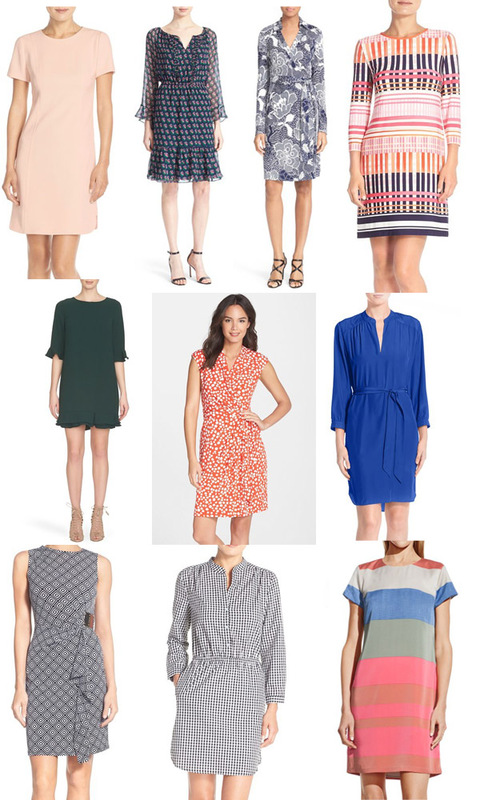 I have been on the hunt for some great weekday work wear and finding appropriate and stylish dresses is really a struggle. I thought I would share my favorites with y'all in case you are having the same issue as me. I feel like these are such cute options that can go from work to dinner or out to drinks with friends. I literally have one great dress right now so these are definitely a closet necessity. I have my eye on a few of these to add to my wardrobe soon. Here's to a great week and thank you so much for reading!